Robert Frank, a senior trial lawyer, joined Neil Dymott in 1980. He has been a shareholder of the firm since 1988. Frank specializes in civil litigation trial work with emphasis on dental malpractice and physician and hospital malpractice. He handles a variety of other general civil litigation, as well as administrative hearing matters such as health care provider licensure and medical staff privileges. Since joining Neil Dymott, Frank has tried more than 50 cases to jury verdict in state and federal court. 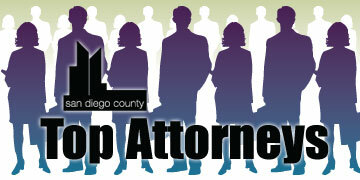 Frank was named one of San Diego’s Top Attorneys in Insurance Law by The Daily Transcript in 2006. In 2007, he was elected as one of San Diego’s Super Lawyers by the publisher’s of Law and Politics Magazine and in 2008, he was selected as one of San Diego’s “Top 50” Super Lawyers. Frank was also selected by his peers for a listing in Best Lawyers of America for Professional and Malpractice Law in 2008, 2009, 2010 and 2011. Frank has served as a board member, president and vice president for the San Diego Defense Lawyers from 1993 to 1997, and is an elected member of the American Board of Trial Advocates. 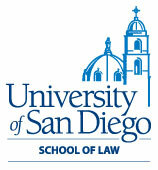 Frank is past director of the San Diego Barristers Club and currently is a faculty member of the San Diego Inn of Court College of Trial Advocacy, the Trial Techniques section. He is also an active member of the California Legal Medical Committee, the Defense Research Institute, Health Care Compliance Association, San Diego County Bar Association and the San Diego Association for Healthcare Risk Management. Friendly Sons of St. Patrick, Surfrider Foundation, San Diego State University Alumni Association, Kappa Sigma Housing Corporation for San Diego State University. Aside from practicing law, he is an avid surfer, enjoys golfing and spending time with his children and friends.